The following image is a picture I grabbed of George's pc monitor. 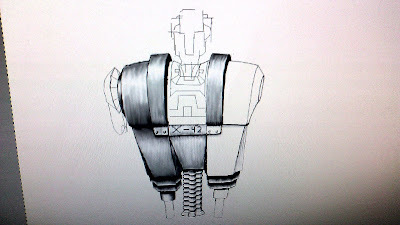 He is making this robot in a graphics program called Gimp which comes with just about every distribution of Linux. I'm no artist but that looks amazingly detailed to me.